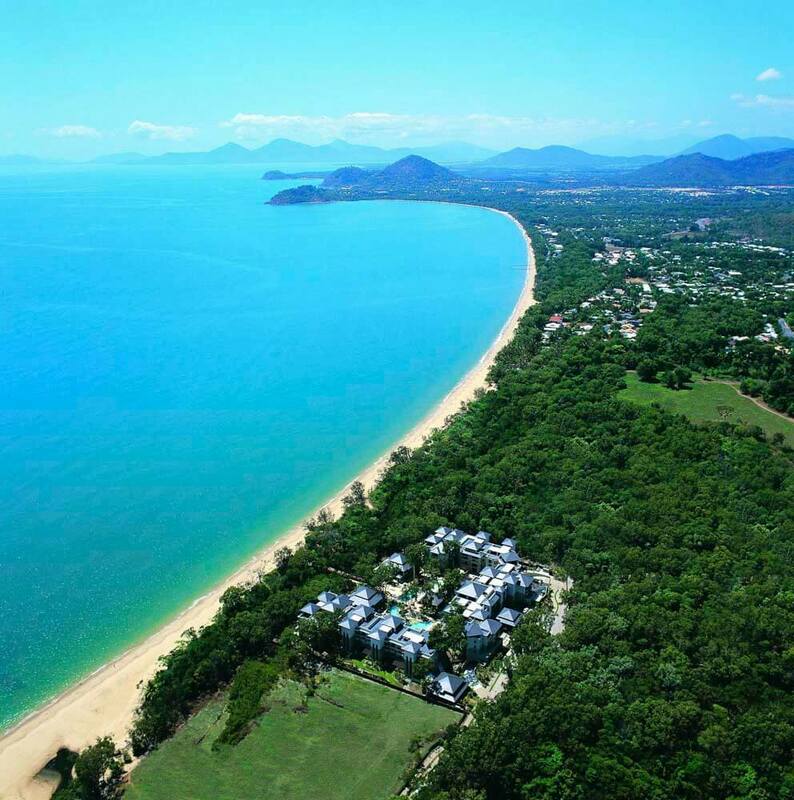 Designed with the utmost luxury in mind, the five star Sea Temple Resort & Spa is located on the secluded beachfront of Four Mile Beach, approximately five kilometres from Port Douglas. Blending seamlessly with the surrounding landscape, the property echoes the natural features of the area with exceptional views, a grand central lagoon pool and lush tropical gardens. 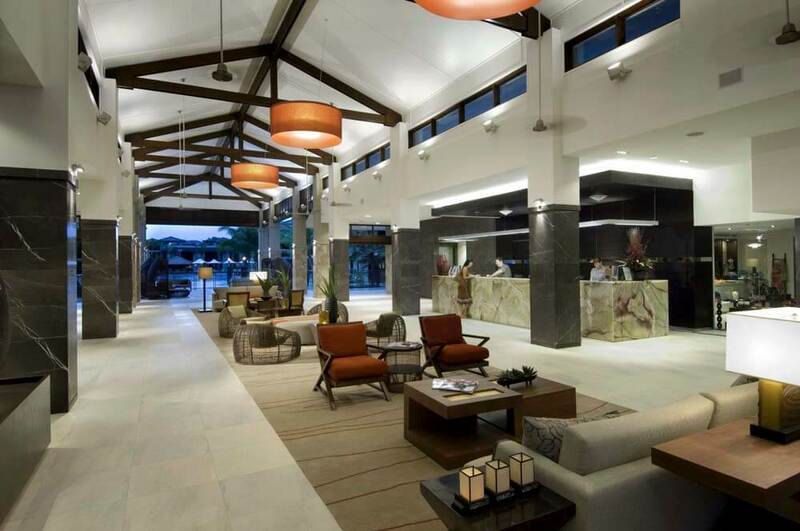 The resort offers beautifully appointed rooms and apartments ranging from Studio Spa Rooms through to Two and Three Bedroom Apartments and Beach Villas. Studio Spa Rooms feature furnished balconies or terraces and a king size bed. 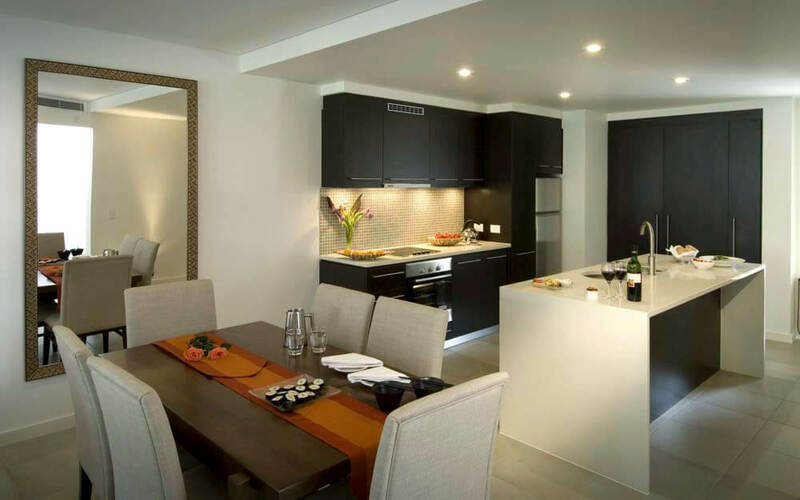 The fully self-contained Two and Three Bedroom Apartments are spacious, featuring separate living and dining areas, fully equipped kitchens and laundry facilities as well as either a balcony or a terrace. Some of the apartments come with extra features including plunge pools and roof terraces. Swimout Apartments are located on the ground floor and offer a furnished terrace with direct access to the lagoon pool. Plunge Pool Apartments overlook the golf course and feature private courtyard with a pool and an outdoor pavilion with barbeque. Penthouse Apartments are available with lagoon or golf course views. A spiral staircase from the fully furnished balcony leads to a private rooftop terrace with spa, barbeque and outdoor setting. 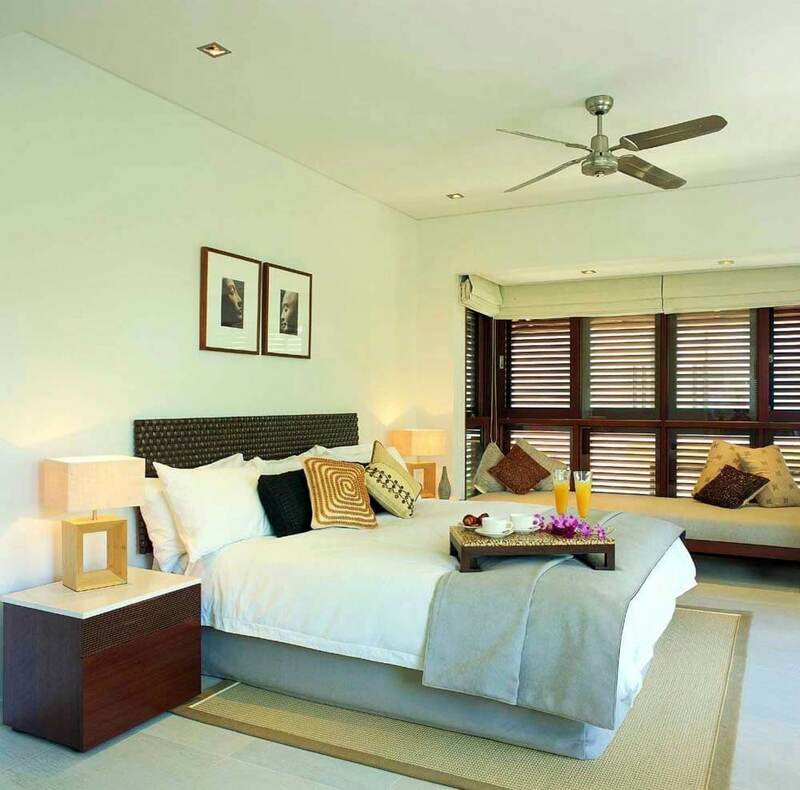 The two-storey Beach Villas have modern kitchen, lounge, dining area and laundry facilities downstairs; three bedrooms and two bathrooms are located upstairs. 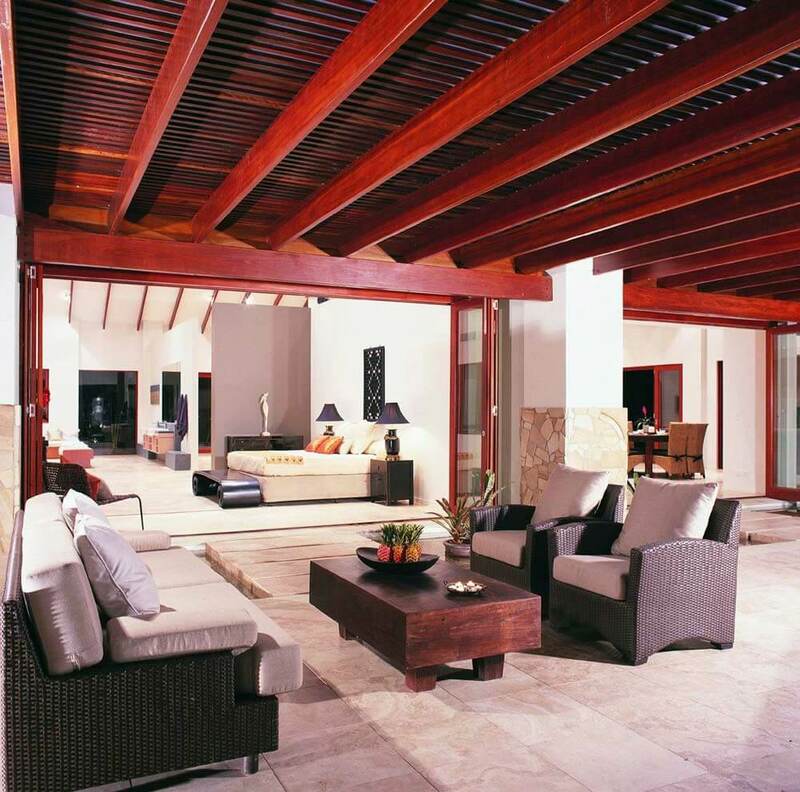 The villas have private courtyard with a plunge pool, built-in barbeque area and outdoor seating. 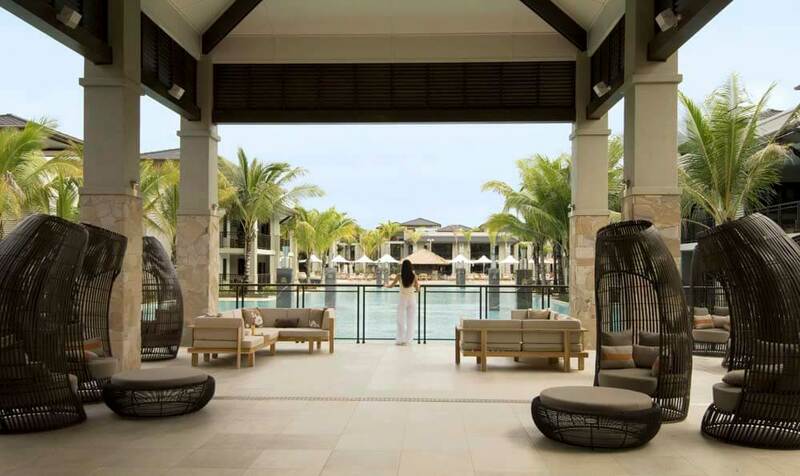 Built in pairs, the villas are located on the resort’s beachfront boundary and have private carports and garages. 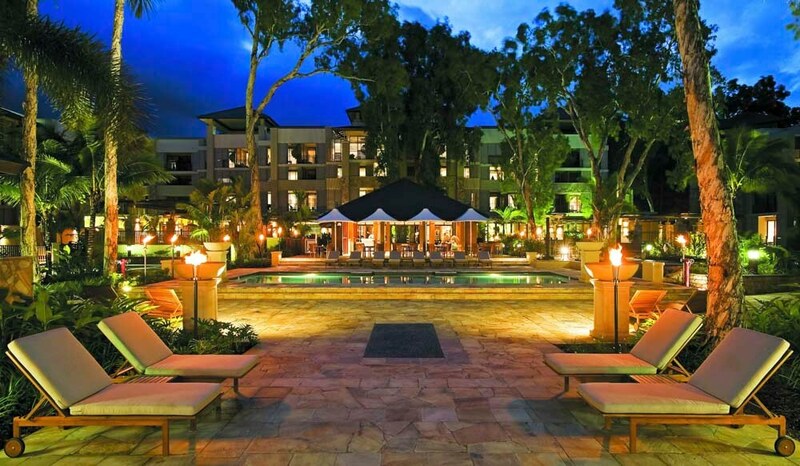 The resort’s Aqua Restaurant serves modern Australian cuisine with comprehensive wine list. 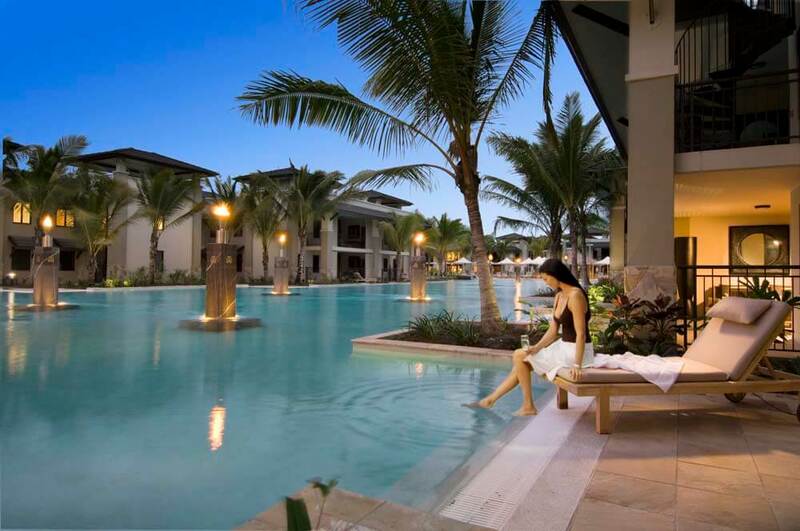 The resort also has a unique island pool bar where guests can enjoy a refreshing cocktail while enjoying the tranquil surrounds. The luxurious Mii Spa is an ideal environment for total comfort, relaxation, pampering and renewal, offering individual treatments and packages. Please note reservations at the spa are essential. No room for improvement - That's why we keep coming back to you.